CerTest Biotec sponsors the conference “Knowing the Zika and its transmission”, that will take place next May 9th at the Catalonia Biologists College – CBC -, from 16:00 to 20:00 hrs. 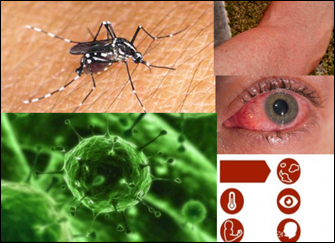 Many experts in the field of health and diagnosis will present several aspects and considerations as the clinical manifestations and possible complications that the virus causes in humans, methods of transmission and spread control. Besides, there will be a table discussion moderated by Dr. Águeda Hernández, Coordinator of the CBC Health Comission. CerTest released some weeks ago its new VIASURE Zika Virus Real Time PCR Detection Kit, designed for specific identification and quantification of Zika Virus in clinical samples from patients with signs and symptoms of Zika Virus infections.